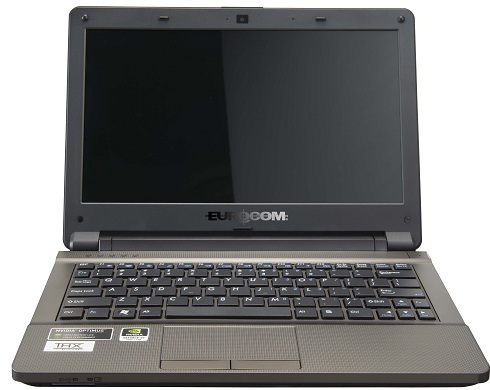 Eurocom, (www.eurocom.com) has added the 1.5 TB HGST Travelstar 5k1500 SATA 6 Gb/s HDD, the largest 2.5”, 9.5 mm thin mobile storage drive, to the 11.6” Monster Ultraportable Notebook to meet customers demand for large storage capacity and high performance. 1.5 terabyte, 6Gb/s SATA mobile hard drives are perfect for use within the EUROCOM Monster where user’s demand increasingly large storage capacity and blazing speed. “The EUROCOM Monster is like we stuffed a High Performance Notebook into a Netbook form factor, it always had the performance and now it can be customized with a massive amount of high capacity 1.5 TB, high speed 6 Gb/s SATA storage, in other words, the Monster is the perfect system for enterprise class users running multiple VMs that require a small package and extremely easy mobility” Mark Bialic, Eurocom President. Travelstar 5K1500 drives ship with a 32 MB cache buffer and a 0.5 watt low power idle, which offers high performance, energy efficient operation for longer battery life in the Panther Mobile Workstation. The 1.5 TB HGST Travelstar 5k1500 offers operating shock of 400G/2ms to protect against drops and bumps while on the go, in the toughest environments. A dual stage actuator is also included for track miss registration improvements for greater data integrity and reliability.